The Upper Tribunal has recently reported the case of R (Gabor) v SSHD (Reg 29AA: interpretation)  UKUT 00287. 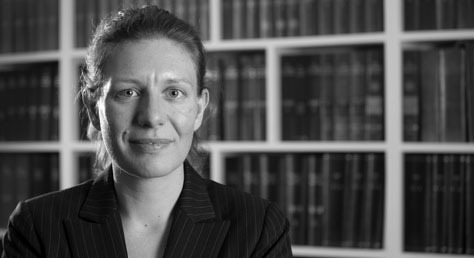 Mr Gabor was represented by Katy Robinson of our Public Law department. Mr Gabor is a Slovak national with serious historic convictions in his home country, the last of which dates from 2006. He had subsequently entered the UK to exercise his EEA treaty rights as a worker and jobseeker. Some years later and with no further convictions, he was detained and deported on account of his convictions in Slovakia. Wilsons assisted him to appeal against his deportation to the First Tier Tribunal. On Mr Gabor’s behalf, we then applied for permission for him to enter the UK to attend his appeal hearing in person. Regulation 29AA of the Immigration (EEA) Regulations 2006 (then in force), provided that such permission must be granted unless the applicant’s appearance may cause serious troubles to public policy or public security. In deciding whether a deported EEA national should be permitted to enter the UK to attend their appeal hearing, the test is not one of proportionality and the cost of facilitating their appearance (for example by holding them in immigration detention pending the appeal) is not a relevant consideration. Permission must be granted except where the applicant’s appearance may cause serious troubles to public policy or public security. “Appearance” for this purpose means the applicant’s presence in the UK for the purpose of attending the appeal hearing (and not solely appearance in the appeal process as held in Kasicky). If permission is granted the applicant must have reasonable time in the UK to properly instruct their solicitors in person – normally some two, possibly three days will be required. Regulation 29AA has now been replaced by Regulation 41 of the Immigration (European Economic Area) Regulations 2016, but the law in this regard remains the same. Deported EEA nationals wishing to return to the UK to attend their appeal hearings in person should be granted permission to do so, with sufficient time to instruct their lawyers in advance of the hearing, unless their presence in the UK may cause serious troubles to public policy or public security. They should be prepared, however, for the possibility that they may be held in immigration detention on arrival and that they are likely to be expected to leave the UK while the appeal decision is pending. If you are concerned or affected by the issues above and would like to make an appointment for a consultation with a member of our immigration team please contact Dionne on 0208 885 7979.